Situé au cœur du quartier populaire de 78704 Austin dans le quartier Bouldin. Si vous voulez voir Austin c'est où vous voulez être. Près de tout ce que Austin a à offrir, que ce soit Barton Springs, The Long Center of Performing Arts, Lady Bird Lake, Zachary Scott Theater, Austins randonnée et des pistes cyclables ou les images et les sons du centre-ville, vous serez entre 0. 5 à 1, 5 miles de tous ces lieux. Sud Première rue est en train de devenir le nouveau lieu d'aller pour des nouvelles remorques alimentaires! Hill House se trouve au sommet d'une colline beaucoup coin dans un quartier éclectique calme South Austin avec un enfant nouvellement mis à jour et le chien parc convivial de poche à travers la rue. Vous aurez tout le confort de la maison avec un port de voiture couverte, deux aires de repas à l'extérieur avec cour privée et individuelle grande cour clôturée supplémentaire pour la famille et les animaux de compagnie. Cette maison a été entièrement rénové à l'automne 2010 avec toute nouvelle cuisine et salle de bain rénovée. Les planchers sont en bois de feuillus originaux avec cuisine carrelée et salle de bain. Les ventilateurs de plafond dans les deux chambres et le salon. LCD, HDTV et un système station d'accueil / haut-parleur ipod. Les meubles sont bien aménagées avec de nouveaux lits, draps et oreillers confortables. café en grains frais fourni pour votre plaisir. Clôturé Back Yard ipod / téléphone de la station d'accueil et un système de haut-parleur. This two bedroom bungalow is perfect in every way. Situated in a lovely, quiet and tree-lined neighborhood, yet just a few blocks from great restaurants and shops. The house was spotless, and has everything you need The backyard is great with plenty of space for your dog to run and play. The hosts were very responsive and thoughtful. We will stay here again! Fantastic location! Everything you need! Beautiful 2 bedroom home just a few blocks from fun shops and restaurants in SoHo/Austin as well as the famous Lady Bird Trail, which we took advantage of as much as possible. Although close to everything, it is located in an exceptionally quiet, tree lined neighborhood. The home has everything you need; size size kitchen with gas range, washer and dryer, comfortable living room with large TV, bed linens were cozy and fresh and everything was spotless when we arrived. The back yard has lots of room for your dog to run and play. We've stayed in many VRBO homes, and these hosts were the most responsive and thoughtful of all the hosts we've had. The next time we're in Austin, we will stay here again! Cute house in great location. Nice quiet neighborhood. 25 minute walk to Zilker Park. Close to South Congress. Well stocked kitchen. Would stay here again. Extremely Comfy Home In The Heart Of Everything! We stayed a month here, and it was like a home away from home! The house is very well equipped with lots of lovely touches. The kitchen is a great size and has every possible utensil and gadget you need! The lounge has a lovely big sofa and Netflix! Plus some great board games! The beds are comfy and the bedrooms are a good size. The garden area and bbq deck is great for outdoor meals. We also loved being so close to SoCo, the river and Zilker Park/Barton Springs. El Mercado, just around the corner, is a great spot for dinner (and has a play area out the back for kids!). Carole and Kerry obviously care a great deal about their guests' experience - both in the home and around Austin in general. They were on hand at all times and responded quickly to any questions we had. There is plethora of information booklets and leaflets on the area so you can make the most of your stay. We would definitely stay here again when we are in Austin. Recommend! Had a great time. Central location, clean and the host were wonderful. 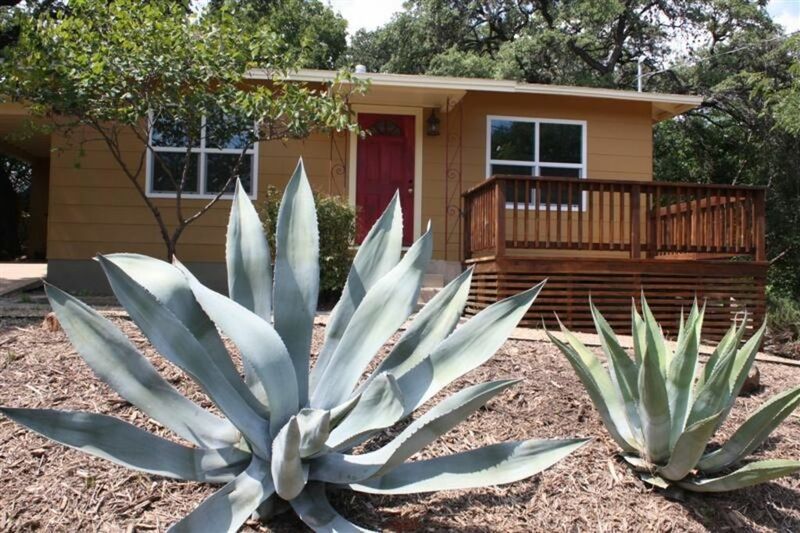 We recently stayed in Austin and rented this home for 2 couples. It's in such a convenient location and in a beautiful neighborhood! We were maybe a block from food trucks and within 5 minutes of all the locations we wanted to check out. We used Uber and it was around $5 everywhere we wanted to go. Easily walkable if you have comfortable shoes. Home was stocked with plenty of dishes and silverware, hair dryer, shampoo, coffee, toilet paper... all the little things that make renting a vrbo home easy. Owner was very prompt and getting in and out was a breeze. Our only downfall was the size of the beds. Not great for four adults, but we made it work! There's also no fan in the bathroom, so love the ones you are with! Marchez à l'ACL, Water Park Butler, Barton Springs Pool 1. 5 miles.